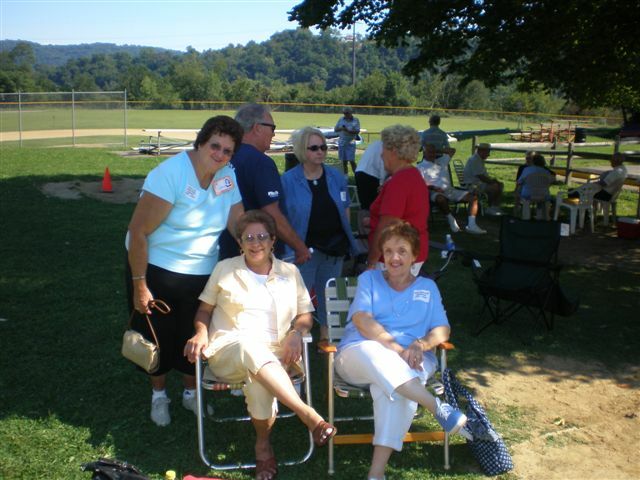 No.61, Phyllis Grayson Tansky (CHS'57), Nancy Nardone Mehalchik(CHS'58), Judy Moffit Dunmire (CHS'58). 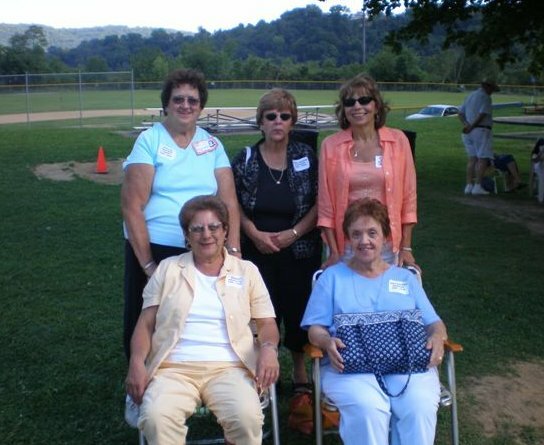 No.62, Phyllis Grayson Tansky (CHS'57), Irene Rodino Plesniak (CHS'59), JeanAnn Straub Provaznik (CHS'59), Nancy Nardone Mehalchik (CHS'58), and Judy Moffit Dunmire (CHS'58). 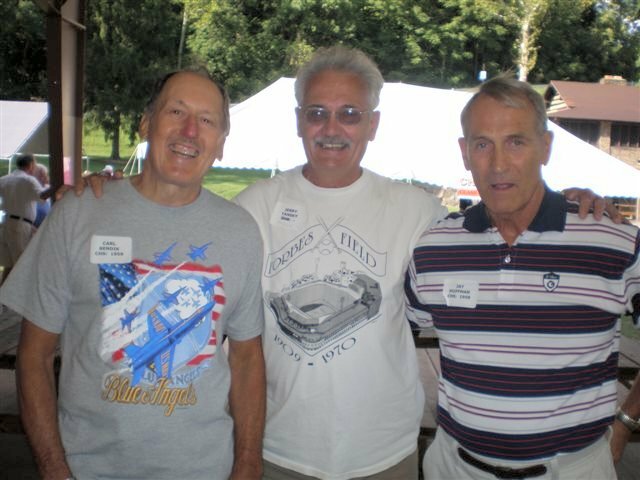 No.63, Carl Bendik (CHS'59), Jerry Tansky (guest), Jay Huffman (CHS'58). 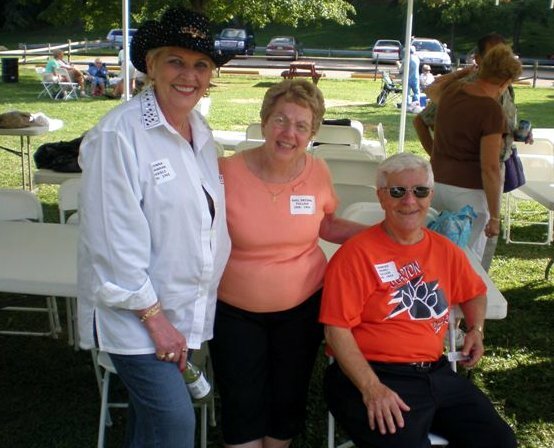 No.64, Donna Parnham Beegal (CHS'55), Gail Decima Tullius (CHS'55) and Duke Tullius (CHS'52). 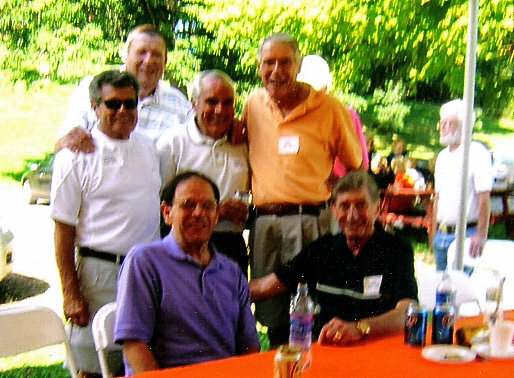 No.65, Don "Doc" Geletko (CHS'55), Sid Cicchini (CHS'55), Back Row L-R: Paul LeDonne (CHS'52), Hal Weightman, Frank Triglia (CHS'55), Ron Isger (CHS'55). No.66, L-R: Jim Gillie (CHS'52), Jean Street Gillie ('56 or '57), Joe Laver (CHS'52), ?. 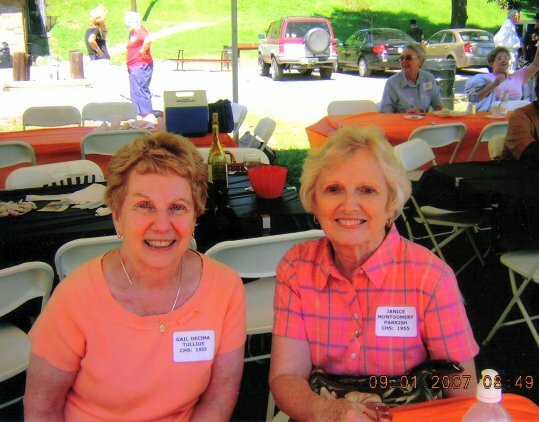 No.67, Gail Decima Tullius (CHS'55), Janice Montgomery Parrish (CHS'55). 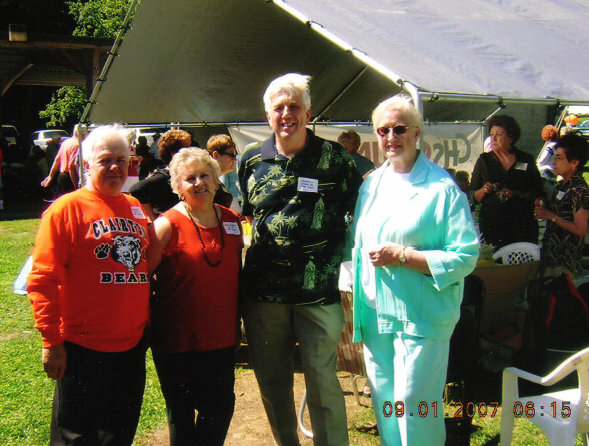 No.68, L-R: Carol Minda Soltis, Bill Bailey, Dottie Tullius Mills, Ursula "Herky" Roucroft Svac (all CHS'55). 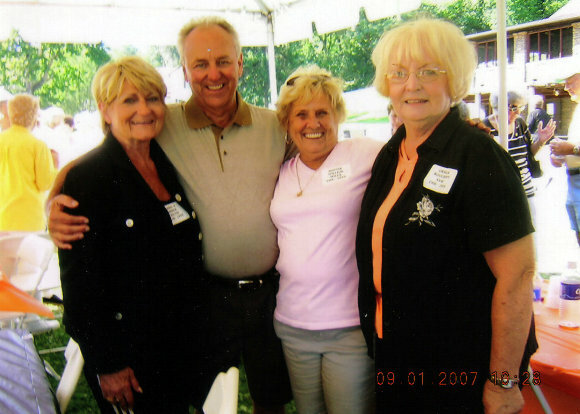 No.69, Ann Metzler Graham, Elissa Medore Sichi, Dottie Tullius Mills. 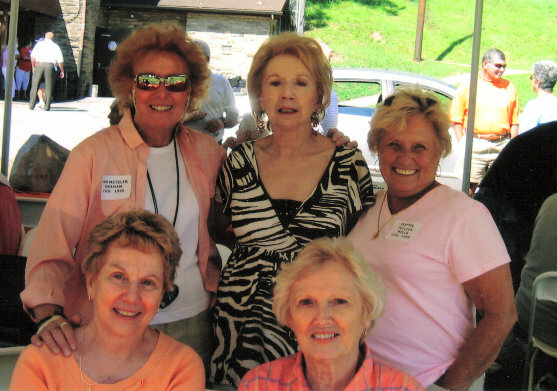 Front Row: Gail Decima Tullius, Janice Montgomery Parrish (all CHS'55).